The Smokehead single malt – from an undisclosed Islay distillery – is packaged to appeal to younger consumers and sits squarely in the Kildalton flavour group with rich, seaweed and intensely peaty tones. Fresh and fruity, it has notes of Sherry, iodine, toffee, smoke and sea salt, and is bottled with no age statement at 43% abv. It is also available as the limited Smokehead Rock Edition, which comes in an embossed tin featuring the Smokehead Skull motif, the 18-year-old Extra Black and the travel retail exclusive Smokehead Extra Rare. 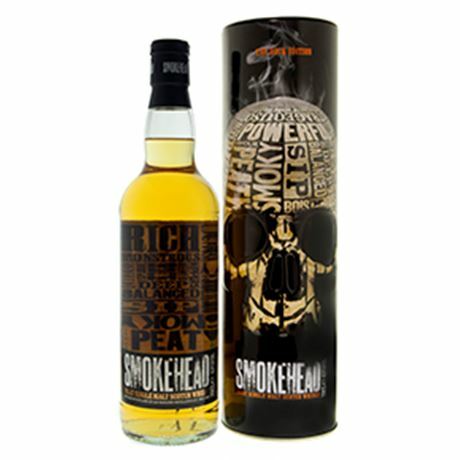 Developed and first branded by Ian Macleod Distillers in 2006, Smokehead joined the ranks of other big flavour NAS brands like Big Peat which are presented to appeal to younger consumers. In 2007 Smokehead’s first brand extension came in the form of Extra Rare, a travel retail exclusive bottling designed as a ‘big brother’ to the classic Smokehead. October 2008 saw the introduction of Smokehead Extra Black, an 18-year-old expression available in travel retail and domestic retailers. In 2009 the brand began a long association with the Classic Rock Roll of Honour Awards, as well as the Marshall Ultimate Band Contest. In 2012 Smokehead Rock Edition was introduced as a limited offering designed to ‘celebrate its credentials as the rock n’ roll spirit of choice’. 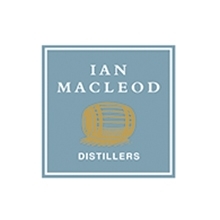 2003 The company becomes Ian Macleod Distillers Ltd.